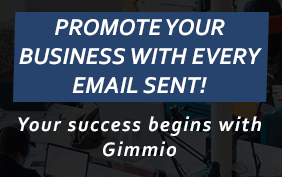 Once you are ready to set up your email signature, open Canary Mail. 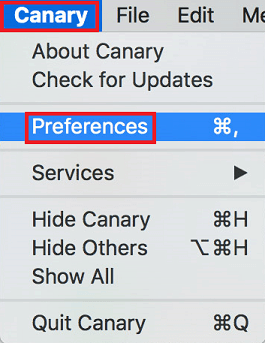 From the top menu, click on Canary and then click Preferences. At the top, click on the Signature button. Remove any text that may be in the text box and ensure it is empty. 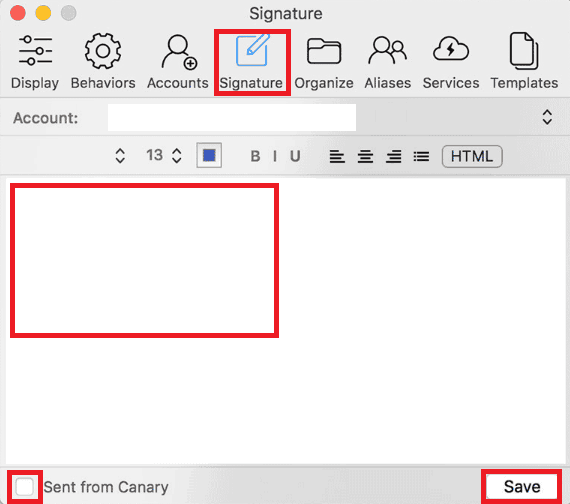 Paste your email signature into the provided text box and untick the Sent from Canary checkbox. Click Save.